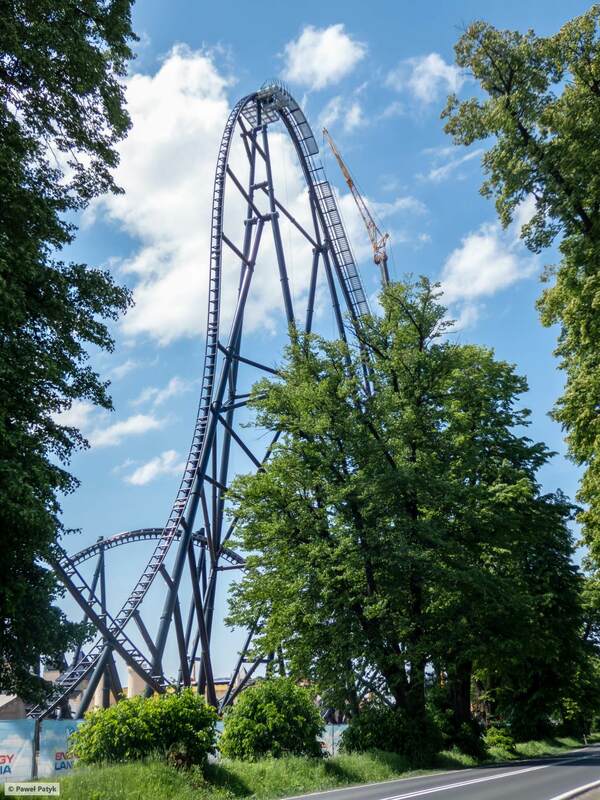 2018 Hyperion Energylandia ( Poland), megacoaster ! With Energydrinks you can / will make millions ! See Red Bull... but Poland has it's own Energydrink and yes they are doing some good business aswell. So what to do with so much money? Well build a themepark, of course ! The train will seat 4 across. With this rollercoaster added to their lineup they cover a big part of all types of rollercoaster... next a woody? Thank goodness they're not using the Skyrush trains. Looks like they are using the same restraints though. 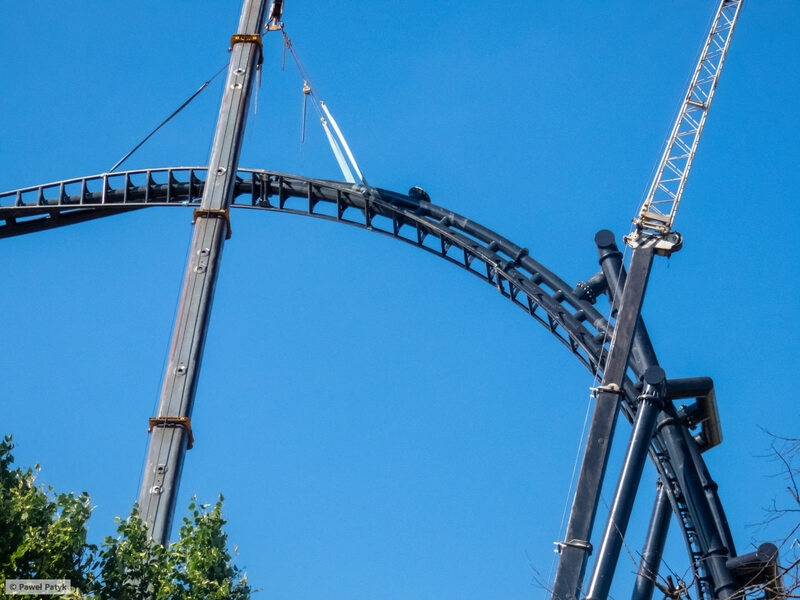 Not the same restraints, the restraints on Hyperion are the newer updated restraints that were being used on Flying Aces before they were forced to add shoulder straps to it. EDIT: After looking at a few recent youtube videos it appears that the straps that were being tested were never implemented. A couple of the cars had i305 straps but those aren't in any recent videos, so maybe they decided against them :) ! Why does Intamin use box track on some coasters and spined “not box” track on others? Love the box/triangle track. It's dependent on what strength is needed for the segment. 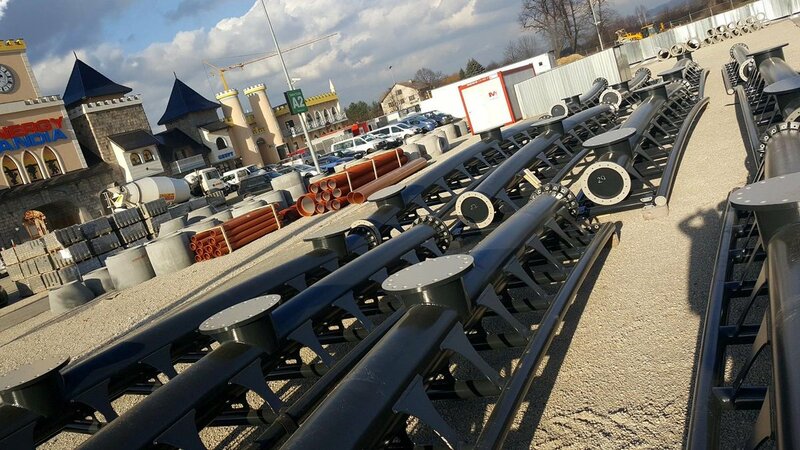 4-box track is much stronger than 2-rail track, no reason to use 4 or 3 rails when 2 rails is cheaper in certain places. Intimidator 305's three rail track looks godly. The track looks so sleek yet very powerful. 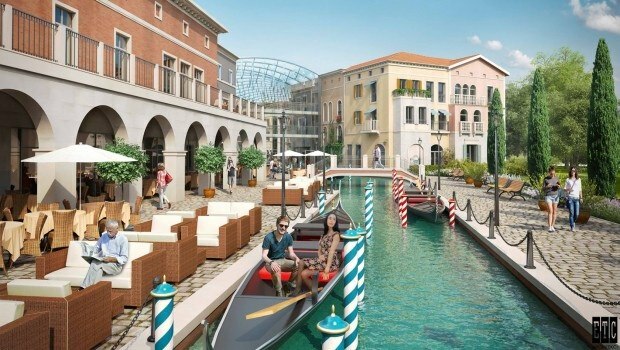 This park has developed with an amazing pace, now they announced plans for a hotel to open in 2019/2020 ! 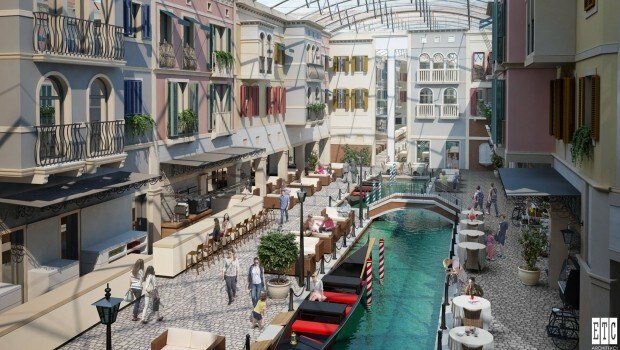 It can have up to 500 guests and from the conceptart the theming looks very good. 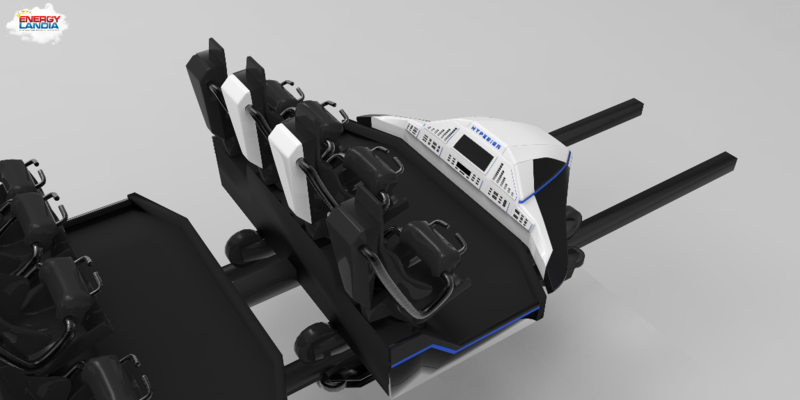 The Intamin megacoaster will have a spacetheme. The astronauts will be send on a mission to the moon of Saturn - Hyperion. Somewhere in the distant space, "Hyperion_1" encounters a black hole and unexpectedly enters the space-time tunnel. After traveling through time, the crew discovers a completely different universe and a twin planet of our Earth, called Hyper Novi. 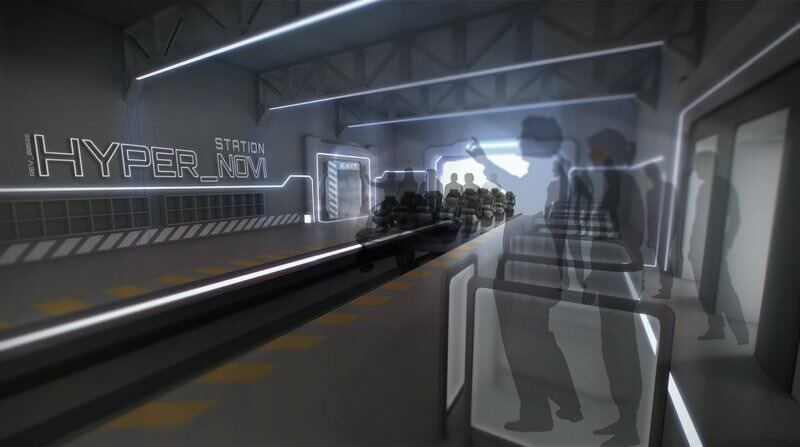 In 2018, Science Fiction will become part of EnergyLandia, with Mega Coaster Hyperion. 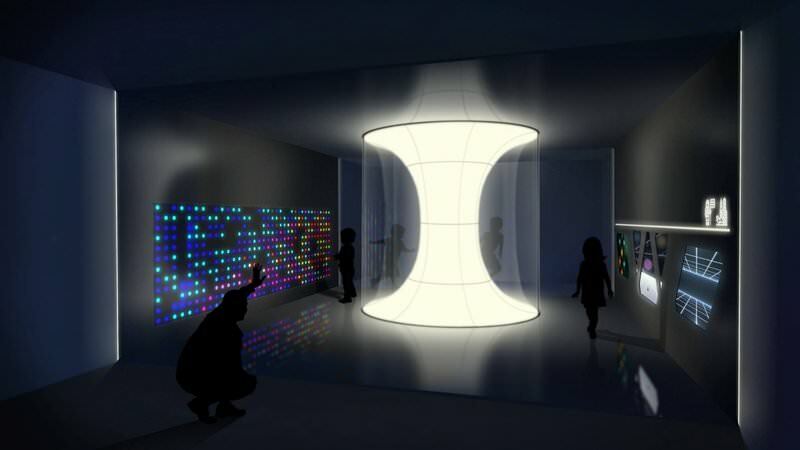 With this machine we are going to get you into the cosmos of sensations, we will take you on an extraordinary journey into the world of the future. 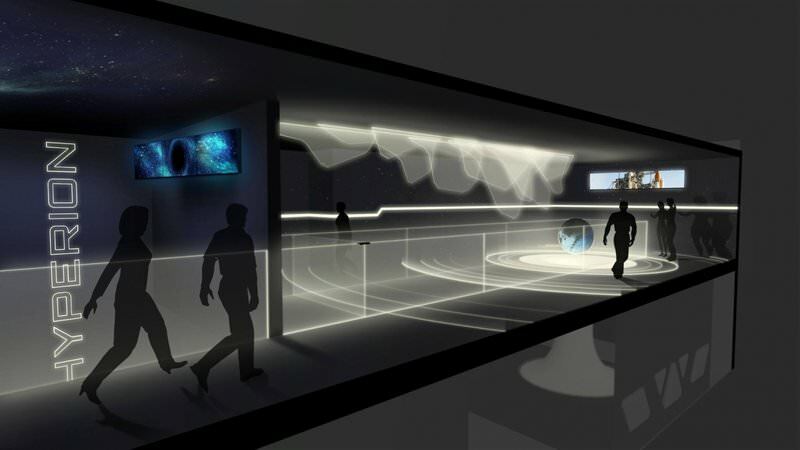 From the entrance to the station you will be drawn into space, which will result in a unique architectural design. Our ultra modern HYPERION ship will exceed all possible speed records, altitude, extremes and time limits, setting absolutely extraterrestrial standards! 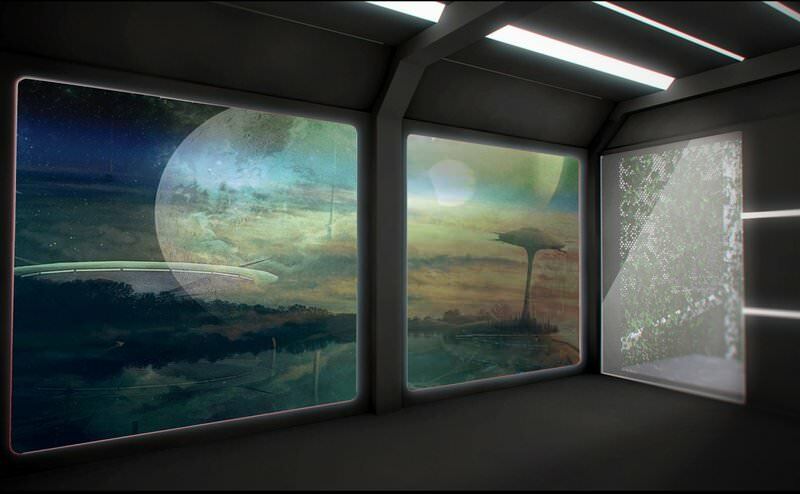 Due to the launch of Hyperion, a special, multi-part film introducing the history of the parallel world will be created. 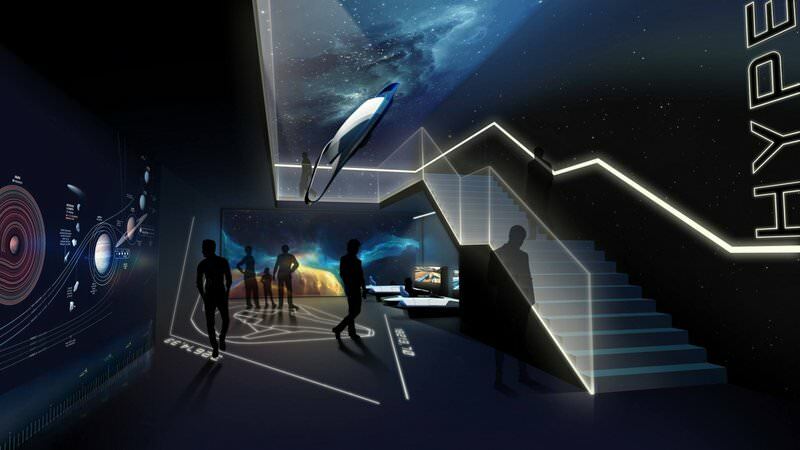 The experience will be spectacular and there will be plenty of different experiences, as our HYPERION will provide lots of innovative features; tunnels, water effects, unexpected gravitational twists during numerous turns at the gigantic dimensions of our ship at maximum speed. It is worth mentioning that HYPERION will be absolutely unique. 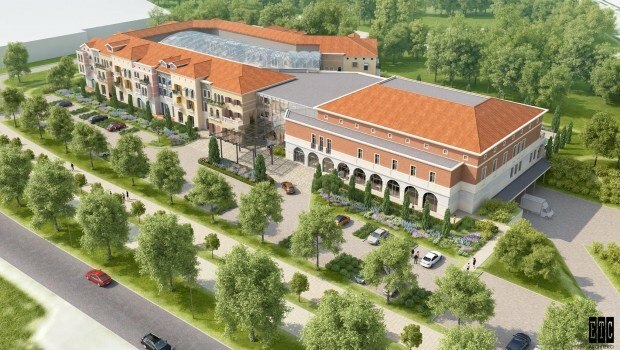 It is especially for created EnergyLandia by Intamin Amusement Rides, with a unique design, so that it will be an explosion of experiences and the adventure of your life. 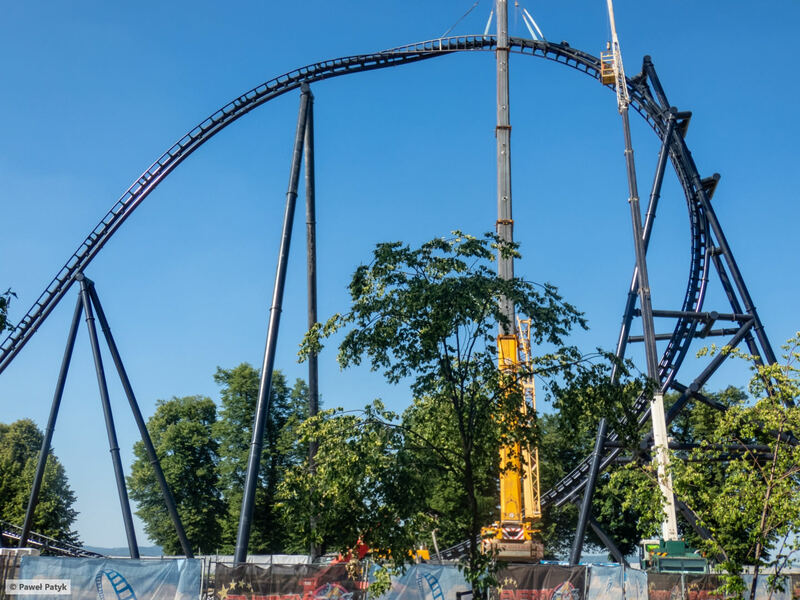 Construction of the HYPERION has already begun - the opening is planned for the 2018 season! 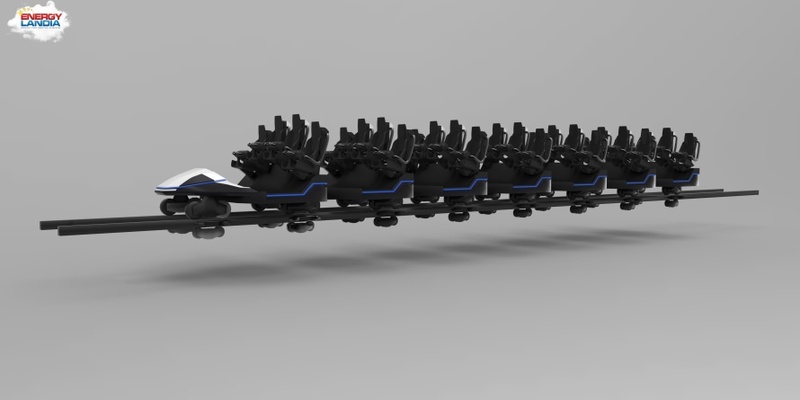 I this the first time Intamin makes a train with the middle seats on a higher elevation then the outerseats? And since I now know how to embed videos here. That is one fantastic looking coaster! Love the theme. I didn't know Intamin did water features. Pieter, SkyRush at Hersheypark has similar trains. I was just going to comment on that, the place seems to have sprung up overnight. Really takes me back to the early 2000s when Six Flags was plopping coasters left and right into their parks. 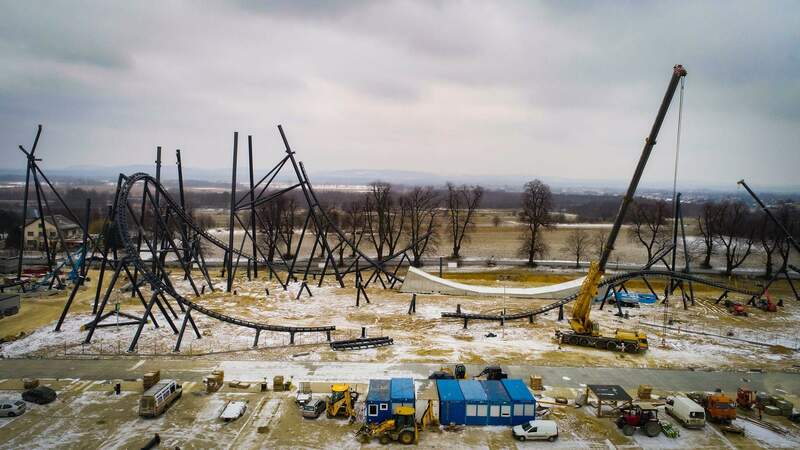 Hopefully Energylandia is actually properly planning for their future with all this robust expansion though, unlike Six Flags. On photos it looks to me like the outerseats are "floating" in mid-air? 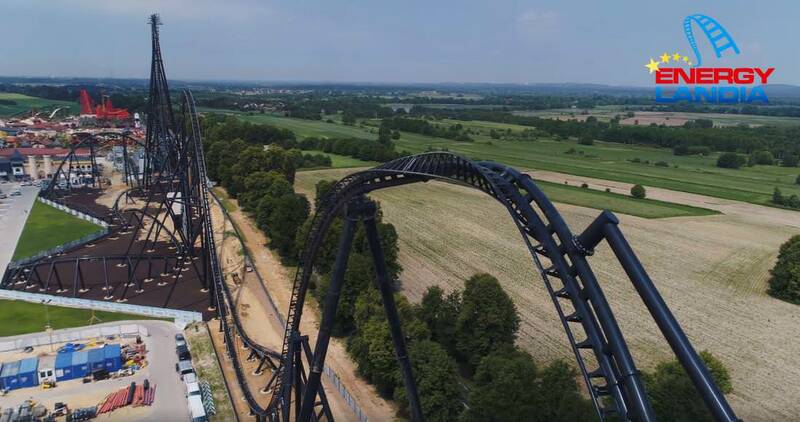 like with the Lost Gravity from Walibi? in 2000s Six Flags investe in europe also a lot, and after only a few years they opted to sell off that part of the business. I think they did an incorrect marketresearch. 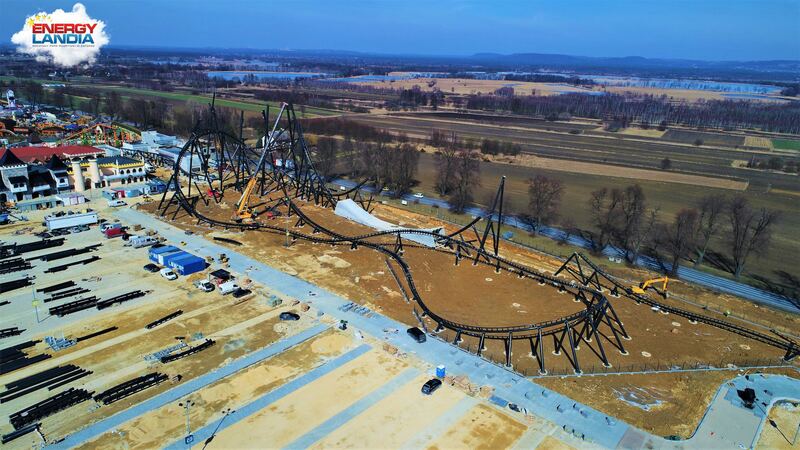 They decided to blow up everything too big, with lots of expensive big rides and that does not work in the european market that way, I did not knew that they had problems in the USA aswell, because at least the plans for Six Flags europe did not work out well..
Track arrived at the park. 80% of the coastersupports are standing according to the park. Nice section of low and fast turns? I hope this really opens in 2018, the waterride that they have build in 2017 still has to have it's first day of operation.. so in 2018 two major rides will open in this park? The other Intaminride, a watercoaster that was supposed to open in 2017 has started operations. Full onride on video from the park of Speed. I previously stated that the owner of this park made his fortune selling engergydrinks, this is not completly correct. He owns nightclubs under the name Energy 2000 and also has that Energydrink but the latter came second. Compared to some of Intamin's more minimalist support structures, yeah, it looks a little much. But remember that Xcellerator and Wicked Twister both started out with far less structure than they eventually required. And Skyrush's lift hill, while having few support columns, is so thick that, IMO, it looks hideous. 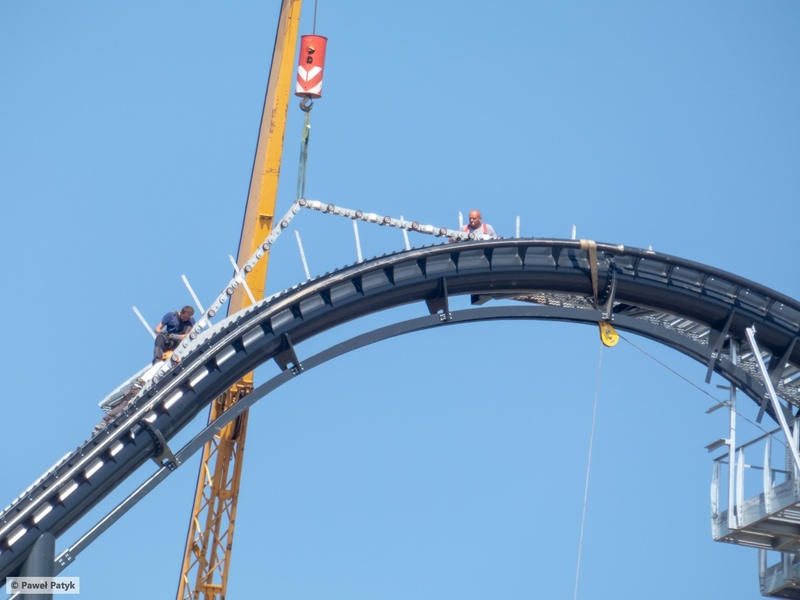 In fact, I feel that the lift track is so thick and oversized that the lift hill doesn't scale properly and looks nowhere near the 200 feet tall that it actually is. So hopefully it's perfect and exactly what's required. Yup. That first drop looks really familiar but kind of different.